Just steps from Hammock Park, this classic Florida Ranch is ready for you to move in without even touching a paintbrush! This home has been updated and well maintained to feel like new in a well-established and desirable Dunedin neighborhood. Completed in 2018, this home brings modern comfort and piece of mind to vintage charm and character. All new solid wood cabinetry, granite countertops, and added electrical outlets make this a modern kitchen of your dreams. The bathroom features new fixtures, subway tile and modern lighting that will make every use feel like a day at the spa. The whole home was repiped in 2016 so you donât have to worry about old pipes bursting or tainting your water. The exterior has been professionally painted sealed and painted to provide excellent protection and curb appeal. With a newer AC system, storage shed, and French doors to the back, this home has so many beautiful features and upgrades, you just have to see it! 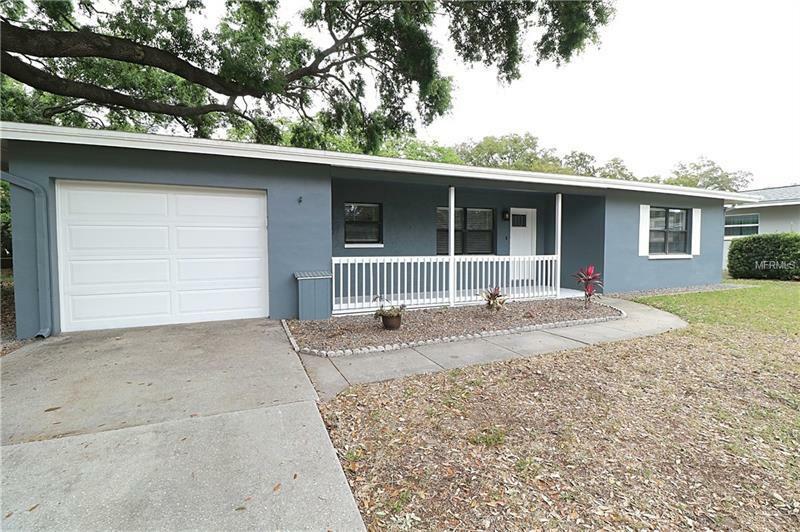 Located just minutes from the Dunedin causeway, this home is proudly in the Dunedin Golf Cart zone and is walking distance to the community center, Highlander Park, the Fine Art Center, the splash park, tennis courts, Highlander Pool, the high school, the Pinellas Trail and more. New elevation certificate (July 2018) gives updated flood insurance at under $600! Do not miss this one!